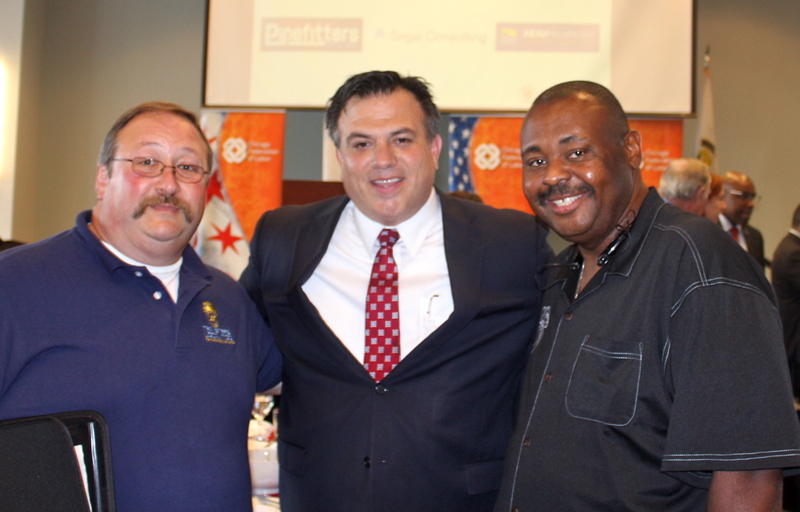 (From left to right) Member Joe Faulisi with Chicago Federation of Labor President Jorge Ramirez and Local 700 Business Agent and Political Director Harold Irving at the CFL Labor Day luncheon on Sept. 2. Members and supporters of local labor organizations came together on Wed. Sept 2 for the Chicago Federation of Labor (CFL) luncheon to honor the legacy of Labor Day. CFL President Jorge Ramirez spoke about the significance of Chicago in the labor movement and the importance of solidarity among American workers.